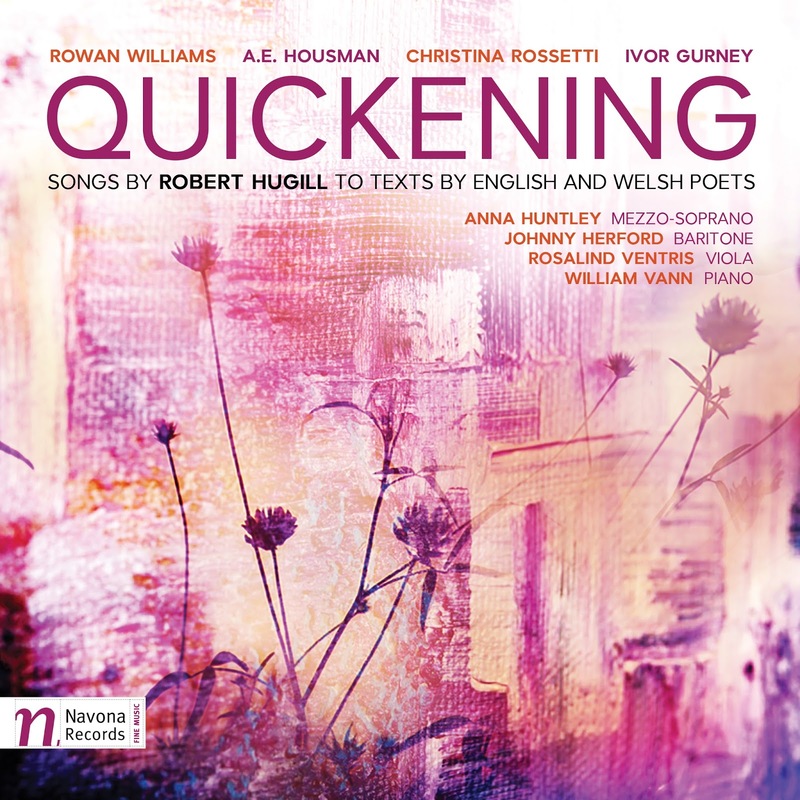 Our disc Quickening has just been released on the Navona Records label, a CD of my songs representing over 25 years of song-writing, performed by a talent group of young British artists. Johnny Herford (baritone) and William Vann (piano) perform Winter Journey, a setting of Rowan Williams' powerful poem Winterreise for Gillian Rose: 9 December 1995, plus Four songs to texts by Ivor Gurney and Four songs by texts by A.E. Housman, both of which have songs which were finalists in English Poetry and Song Society competitions. Anna Huntley (mezzo-soprano), Rosalind Ventris (viola) and William Vann perform Quickening, a cycle of songs setting poems by Christina Rosetti. The CD was partly funded by a successful crowd-funding which ran early this year. Further information about Quickening is available from the Navona Records website where you can listen to sample tracks, read more about the songs, download the texts and look at the music. The disc is available on Spotify and iTunes, as well as from Amazon.com, Amazon.co.uk, NaxosDirect and ArchivMusic. Johnny Herford, William Vann and I will be appearing on BBC Radio 3's drive-time programme In Tune on Monday 25 September 2017 to talk about the album with Johnny and William performing songs from the album live in the studio.